Critiquing many areas of medical practice and research whilst making constructive suggestions about medical education, this book extends the scope of medical ethics beyond sole concern with regulation. 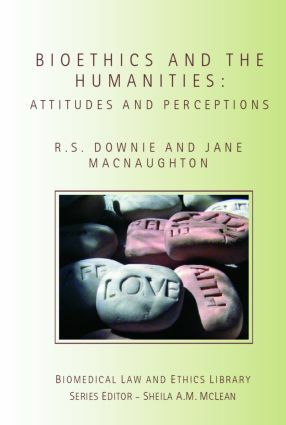 Illustrating some humanistic ways of understanding patients, this volume explores the connections between medical ethics, healthcare and subjects, such as philosophy, literature, creative writing and medical history and how they can affect the attitudes of doctors towards patients and the perceptions of medicine, health and disease which have become part of contemporary culture. the illusion fostered by medical ethics that doctors, unlike those in other professions, are uniquely beneficent and indeed altruistic. An excellent text for undergraduate and postgraduate students of law, medical ethics and medical healthcare law, Bioethics and the Humanities shows the real ethical achievements, problems and half-truths of contemporary medicine.